It all came down to three buttons. The question was which one House Republicans dreaded pressing the most: the green one, the red one or the amber one. Tiny boxes sporting those colored buttons dot the House of Representatives chamber. When the House calls votes, lawmakers cluster around the machines, insert their electronic voting cards and punch one of the buttons. The process registers either a yea, nay or “present” vote. A corresponding “Y,” “N” or “P” then pops up next to the member’s surname on a gigantic tote board in the House chamber. Until late Wednesday night, House members expected to make a decision on whether or not to impeach IRS Commissioner John Koskinen. They even could have cast a ballot to postpone or kill the impeachment effort. Most GOPers who aren’t part of the conservative House Freedom Caucus cringed at their voting options. As it turns out, lawmakers won’t have to vote on Koskinen just yet. Thanks to some behind-the-scenes wrangling from Rep. Trey Gowdy, R-S.C., the Freedom Caucus carved a deal with House Judiciary Committee Chairman Bob Goodlatte, R-Va., to hold an impeachment hearing with Koskinen present next Wednesday. Rep. John Fleming, R-La., authored the impeachment effort alongside Rep. Tim Huelskamp, R-Kan. House Republican leaders were cool to the impeachment idea. So Fleming and Huelskamp engineered four articles of impeachment and tucked them into a special resolution designed to bypass the House GOP brass. The maneuver would compel the House to vote up or down on impeaching Koskinen. Some Republicans considered options to kill the effort through parliamentary maneuvering. Fleming reveled in the outcome. That could happen later. 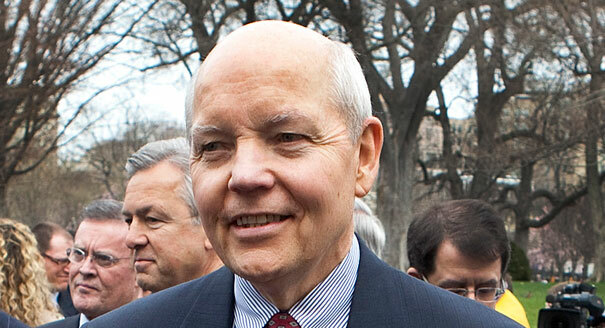 Impeaching the IRS Commissioner is red meat for the GOP base. But for now, House Republican leaders dodged a conundrum which would have exposed fissures in the party immediately before an election.